A selection of News Department photos showing different newsreader over the decades, and many of the people responsible for bringing the daily news happenings into your home. People who often braved the elements to get a story, or in some cases became part of the story. Examples being the air crash which took the life of cine cameraman Dig Milner, whilst filming a story. And the late Matt Williams who had the unfortunate assignment of attending a fatal road accident, which involved his immediate family. I am the daughter of the late Matt Williams. I was with my mother and and 2 sisters in the accident that he was sent to cover for the news, my mother and younger sister died. The empathy & support that Channel 7 gave to him, myself &nd my sister exceeded their duty as an employer and would be hard to better. 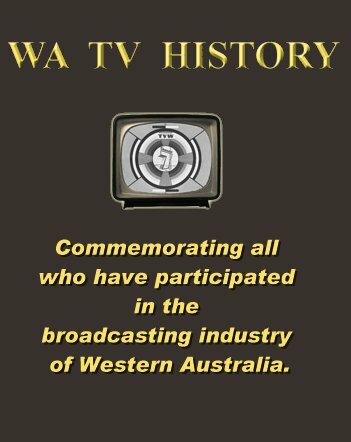 My father passed away 9 months later.Over the yrs I have been told many stories about him,some of the things that i have learnt is that he loved his job, filming the Vietnam war, walking on water when he fell into the ocean (loosing a Channel 7 camera) whilst chasing a killer shark – the list goes on & on. The legacy he left to me was a thirst for knowledge and a love of life. If he was alive he say ” Watch the News” thank you Channel 7!